This approximately approx. 15,25 m x approx. 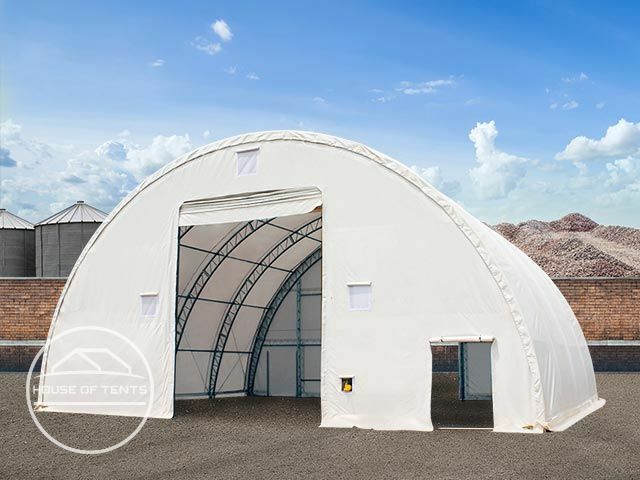 21,00 m large arched shelter comes with outstanding stability parameters and the guaranteed statics to prove it. The steel construction is reinforced with a hot-dip galvanisation and as such rust free. 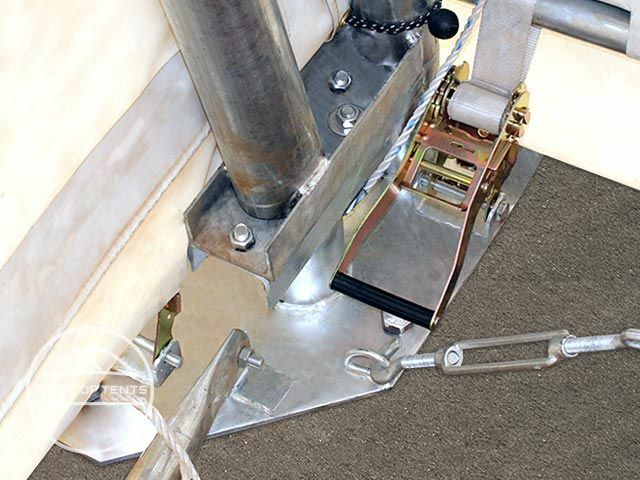 The construction itself is assembled simply with a user-friendly nut and bolt system. 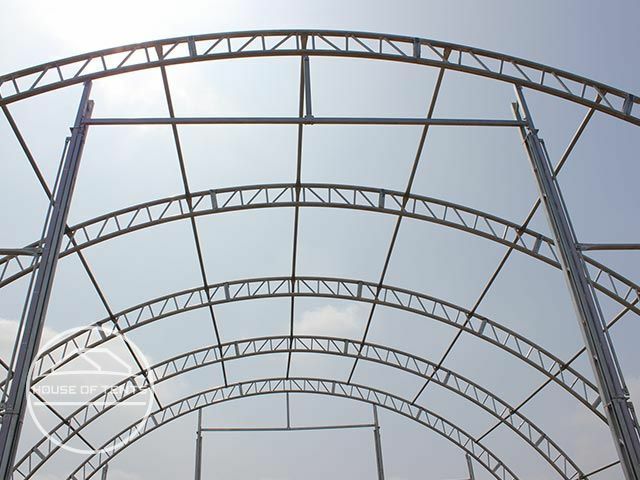 The curved beam elements are made of heavy duty double-truss girders, a two-tube construction interconnected with diagonal supports. The distance between each vertical arch is 1,5 metres. The shelter canvas consists of a state of the art Prime-PVC, a approx. 720 g/m² extremely robust material, resistant to wind and weather and temperatures from -30 to +50°c. This compound material is created via a moulding process and is 9 times more tear resistant than standard PVC. The distance between the vertical arches is approx. 1,5 m.